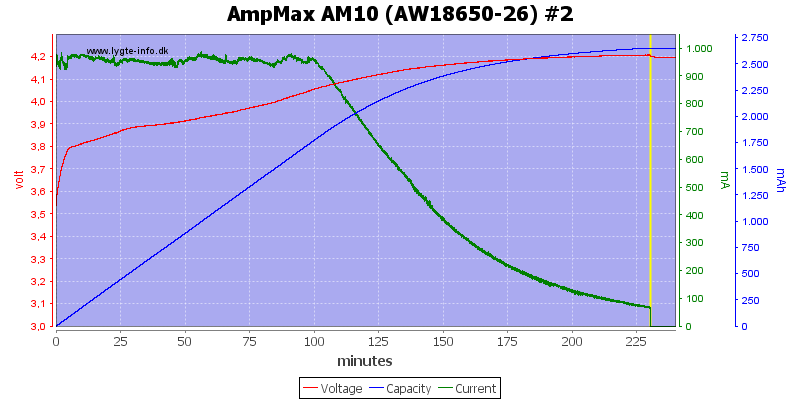 AmpMax is a new company with a selection of batteries (See 2900mAh and 3100mAh) and a simple charger. 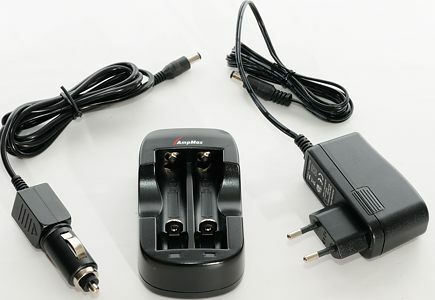 The charger is dual channel and rated at 1A and for 18500 and 18650 batteries. It comes in a cardboard box with a window . 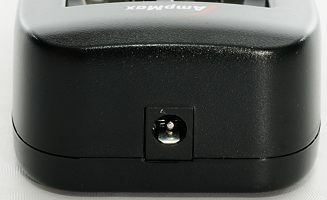 The box contains the charger, a universal voltage (100-240V 50/60Hz) mains power supply, a car power adapter. 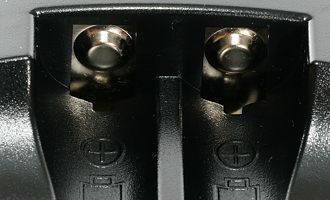 The plus connection is slightly raised, this means that the charger can be used with flat top batteries. 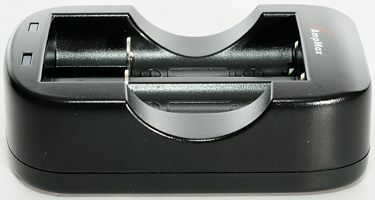 The minus connection is a slider, making it possible to charge different size batteries without using a spacer. This slider did not have any lockups while testing it. There is a separate wire with current to the slider. 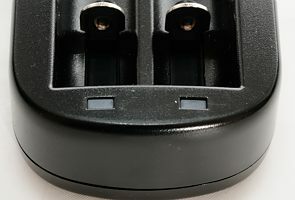 The connection for the power adapter, the label on the bottom of the charger says that it is 12V 1A. There is a led for each channel, the leds are red when charging and green when finished, they will flash red on errors. 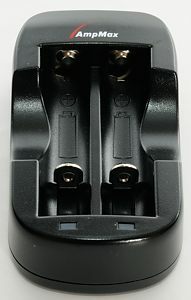 The charger can handle 68.7 mm long batteries including flat top cells. The specifications also list 14500 batteries, but the current is slighty high for this battery size. 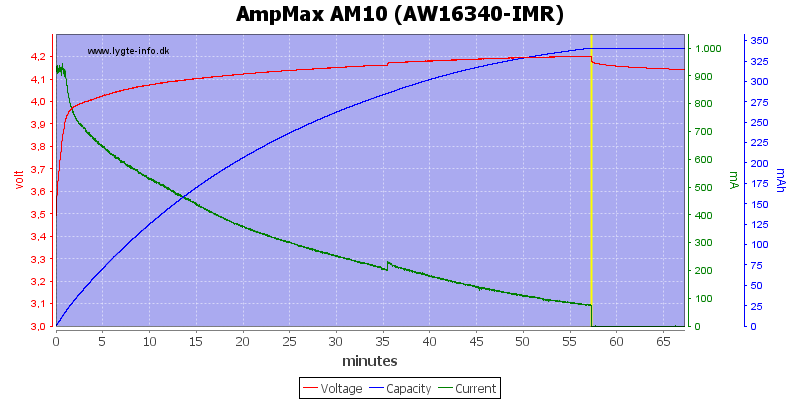 Below 1 volt the charger reports error (Flashing red led), but is supplying about 50uA, this is probably enough to reset the protection on a battery. Between 1 and 2.9 volt the charger will soft charge with about 110mA. 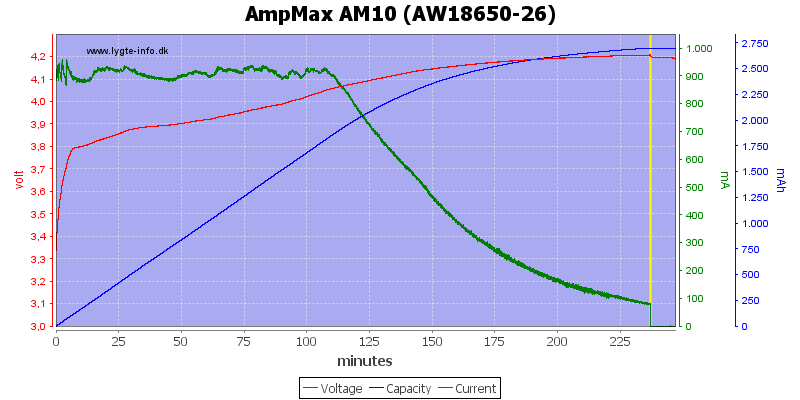 Above 2.9 volt the charger is applying regular charge current (See curve below). When charger is disconnected from power, but with a battery in, it will draw up to 30uA from the battery. When the charge current goes below the termination current the charging is stopped and it will charges with around 10 uA. The charger will restart charging when the cell drops to 3.9 volt. The charge will always restart charging when a battery is put into it or after a power loss. Two batteries in the charger will not change the charge current significantly. Because each channel is independent, the different voltages and currents vary between the channels with a small amount. The charger uses CC/CV charging and stops charging at about 100mA current. The change from CC to CV voltage is a a bit slow, this does increase the charge time. The second channel looks very much like the first channel, but has slight higher current. First channel, but also charging on second channel. The curve looks about the same as above. 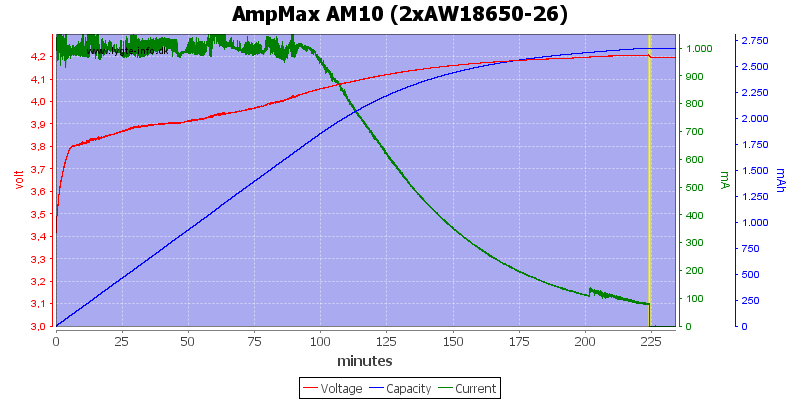 This charge curve is with an old 16340 battery. 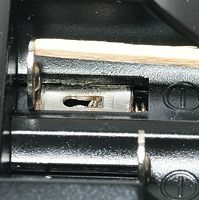 Due to the high resistance of this battery the charger goes into the CV part of the charging very fast. 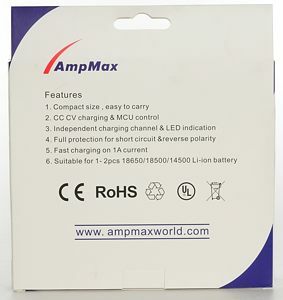 The charger uses CC/CV and has a termination current at 100mA, this is good and safe values for all types of 18650 batteries. No charging at very low voltage and slow charge at low voltage does increase the safety a bit. This charger does the job in a good and efficient way, making it the right charger for people that want a simple 18500/18650 charger without bells and whistles. Only caveat is the limit on battery length. 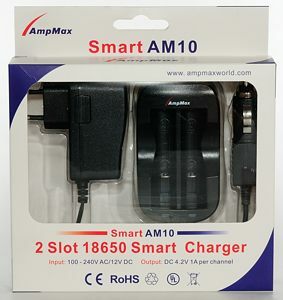 The charger was supplied by AmpMax/AmpMaxWorld for a review.